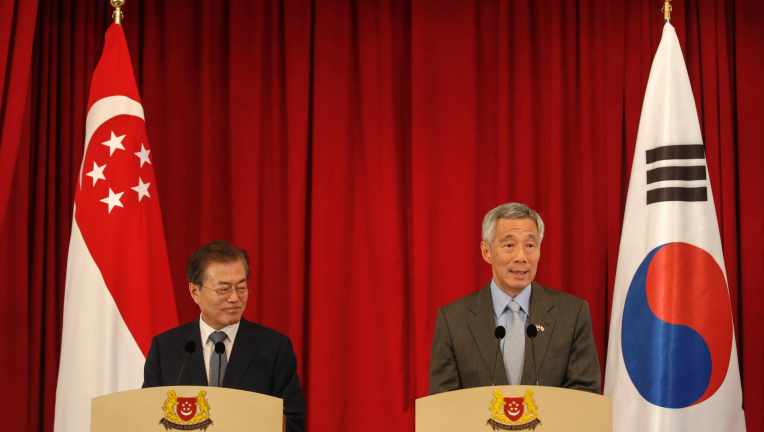 South Korea’s president has pledged to increase trade with Singapore as part of a strategy to raise its economic influence in the region. President Moon Jae-in says the two countries agreed to “invigorate mutual investment” by significantly increasing the trade volume, which is currently at $20 billion. The push is in line with the country’s “New Southern Policy,” which aims to strengthen its relationships with the 10-member Association of Southeast Asian Nations. 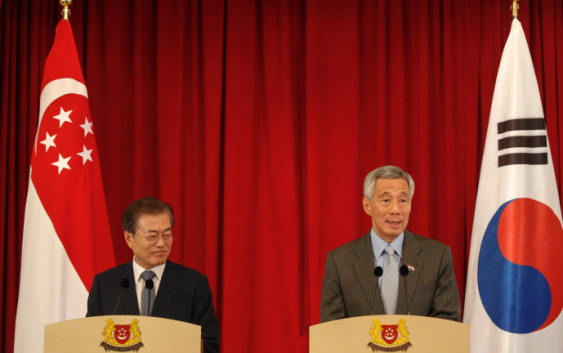 Moon is on his first state visit to Singapore until Friday.